There isn’t really any other turn-based Final Fantasy game I have more affinity towards than Final Fantasy X. In my opinion, both its narrative and gameplay still hold up today, and in that regard, the game works to bolster Switch’s lineup of unique and meaningful JRPGs. If you’ve read my guide to Final Fantasy on the Nintendo Switch, you already know I recommend this title with full confidence. Since its release, I’ve played Final Fantasy X on PS2, PS4, and PS Vita, and now I’ve gotten some time with the Nintendo Switch version of the game. With the Switch having the best of both worlds with it being a handheld and a console, you really cannot go wrong with this port of a classic. While the game’s narrative beats have been replicated since its original launch way back in 2001, FFX still offers a deep dive into the changing world of video games and RPGs as a whole at that time. Not only that, but it has a general visual presentation that’s wildly different from every Final Fantasy that has come before and after its release. This is the first game in the series that used voice acting as well as motion capture, giving it a unique AAA flare that was really quite a triumph at the time. 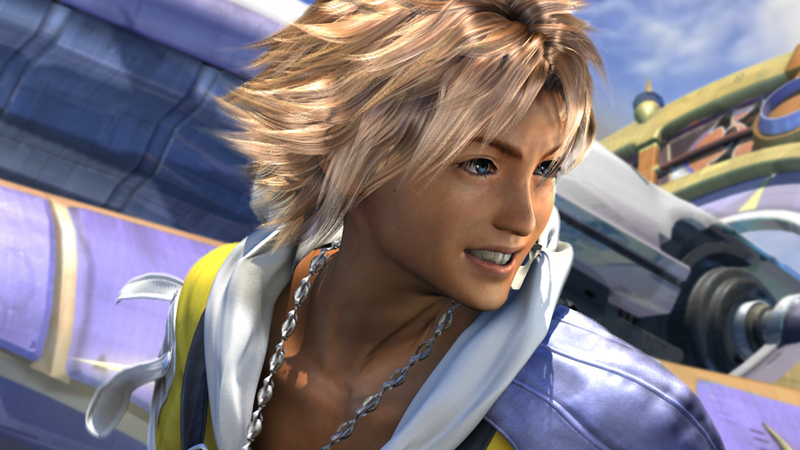 Our main hero is a young man named Tidus, who is a famous Blitzball player from a place called Zanarkand. After Tidus’ home is mysteriously attacked by a huge creature, essentially wiping out the entire place, it teleports him to the land of Spira. He then finds out that the beautiful metropolis he once called home was destroyed 1,000 years prior to his arrival in Spira. 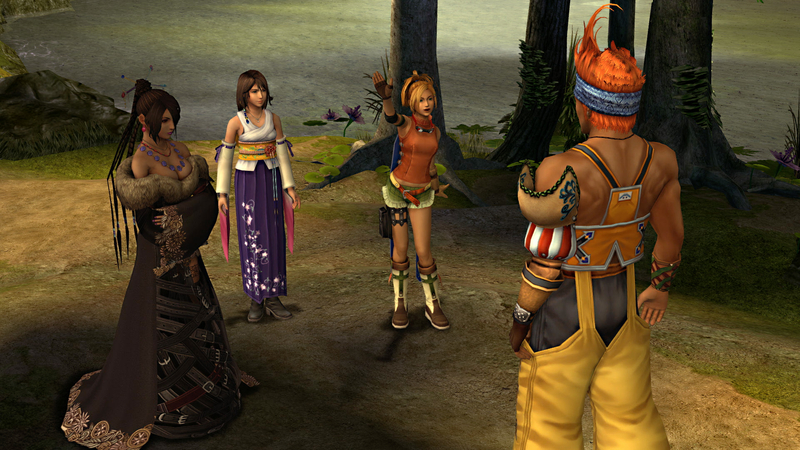 After the opening hours and tutorials, Tidus comes to meet the main cast of the game, which are introduced at a very quick pace so you can begin leveling them accordingly. Also, that large creature, known as Sin, is still roaming the lands of Spira, killing everything and anything in its path. Tidus begins to grow attached to a young woman named Yuna, a priestess who is destined to defeat Sin at the cost of her own life. Sin is resurrected every time its defeated, but the people of Spira do come to know some period of peace before the monster’s inevitable return. If all that sounded interesting to you, you’ll probably have a grand old time with Final Fantasy X. The game certainly is classic Final Fantasy in that it gets completely bonkers by the game’s final act. Some fans have come to criticize the way things wrap up in the end, but thankfully, Final Fantasy X-2 is included in the package to give us even more story beyond what FFX has to offer. I won’t get too much into the details of Final Fantasy X-2 due to the fact that it’d obviously spoil X, but the combat is reworked as the series began experimenting with new ways at modernizing that classic turn-based style from earlier entries. It works but, in my opinion, the first game is a bit more enjoyable when it comes to that. The game also introduces a lot of odd mechanics that I’m personally not a huge fan of. Nevertheless, even if you play FFX alone, you’ll get at least 50 hours of lovely JRPG goodness. As far as this port goes, the Nintendo Switch versions of FFX/FFX-2 are nothing really special when compared to previous versions that have released. Since the games are old, it’s unsurprising that the Nintendo Switch handles them with no issues at all; everything looks as crisp as it does on PS4. While environments don’t really hold up, or the linear nature of the world, it’s still ultimately just a fun game and that’s all that really matters. If you’ve missed out on Final Fantasy X and FFX-2, the Switch port might arguably be the best place to experience both titles. Whether on long commutes or in the comfort of your own home, the adventures of Tidus and his friends are still well worth experiencing in 2019.